Achalgarh Fort in Mount Abu is situated about 11 Kms north, the only prominent hill station of Rajasthan. Paramara Dynasty rulers built the fort in 9th century AD. Later in 1452, Maharana Kumbha rulers rebuilt the fort. The visitors to the Achalgarh Fort get the opportunity to witness a number of its features like sculpted idols on the walls and entrance, which are made up from crystal-like stones that make it opaque leaving beautiful sight to explore. There many temples that is present within the boundaries of the fort. Kantinath Temple, which is 500-year-old famous Jain temple, offers a great sight to all visitors. Beside this, Achaleshwar Mahadev Temple is a very famous sight for all the visitors as it has Shivalinga and Brass Nandi made out of five metals such as copper, silver, gold, zinc, and bronze. 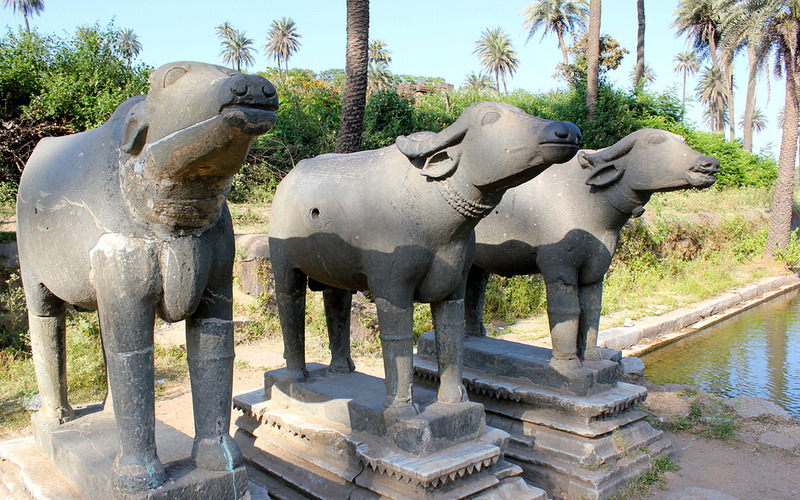 It is also said that Nandi weighs around 5 tonnes and is made up of Panchadhattu. The temple is made on the toe marks of Lord Shiva. Mandakini Lake is right behind the Mahadev temple offers mesmerizing view of rocky hills and rock walls covered with images of a Rajput king and buffaloes. One can trek to the top of Achalgarh Fort and visit Goddess Kali Temple. Idols of shree Bhairav Nath and Goddess Durga is also present inside the temple, which is of crystal idols. Best time to visit Achalgarh Fort in Mount Abu is from September to March as the climatic condition is pleasant throughout the year so there is a balance maintained during the summer and winter season. One must only avoid visiting in monsoon season due to amidst rainfall. There is no availability of guides nearby Achalgarh Fort in Mount Abu but you can buy a travel book or can browse on web services to get proper guidance of Fort. Other attractions nearby the Fort are Dilwara temple, Guru Shikhar and Trevor's tank, all of the tourist's attractions offers amazing view. Humming Bird Resort, Mount Abu is nearby Achalgarh Fort binding to less travel time and explore the amazing destination to experience luxurious stay with plentiful amenities like spa, swimming pool ,children's park, kid's pool , Banquet hall , gym , bar and restaurant .The resort gives comfortable stay with fantastic view of valleys , forests , gardens and swimming pool. To avoid unnecessary travel, highly not recommended to stay at hotels that are far away; instead, you can go for Humming Bird Resort in Mount Abu, which is hardly one kilometre away from the Achalgarh Fort, Mount Abu that provides you with a luxurious and memorable stay. In case you are with family or prefer comfortable stay, hummingbird resort Mount Abu is the best.